Lions is a cool addition to your pet's wardrobe. Great for summer walks, hanging out in air conditioning, or simply to sleep in. 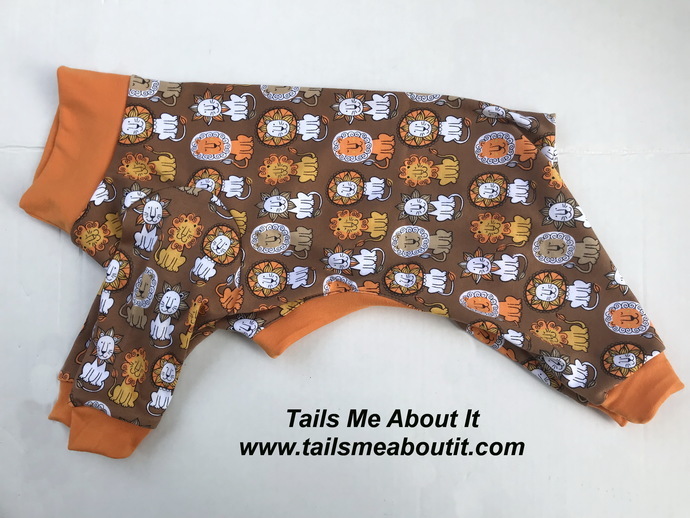 Made from cotton interlock fabric in a cute Lion print. Has a nice stretch to it. Trimmed in orange cotton fabric. Available in a 2 legged top version and a 4 legged pajama version. Choose from drop down menu. 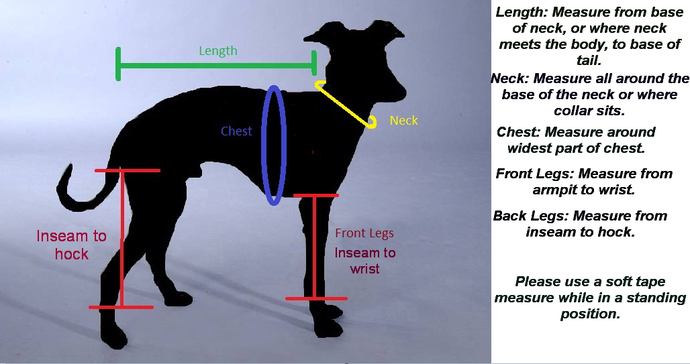 Large: Neck: 13", Chest: 22", Length from base of neck to tail: 17"
Extra Large: Neck: 14", Chest: 24", Length from base of neck to tail: 19"